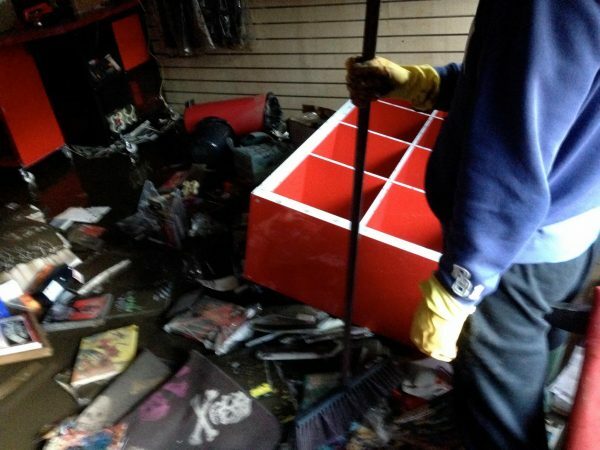 Some time back I saw one of my Twitter follows talking about how the floods had destroyed their favourite comic book shop, and how a lot of artists had come together to help it get back on its feet. They are not asking for donations. Simply doing an auction which includes amazing comics and works of art. We loved the idea, so we thought we’d try and help by getting our readers involved. The content below is an email detailing everything. Read on, and do contribute! Any support you can give them by spreading the word, or the auction would be appreciated too. 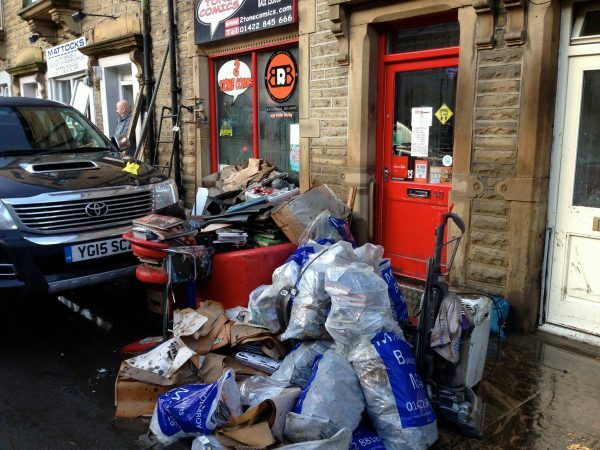 On Boxing Day 2015 the Calder Valley in West Yorkshire were hit by the most unprecedented, devastating floods they’ve ever experienced. As a result homes and businesses were lost and the town of Hebden Bridge was almost wiped off the map. Hebden Bridge is quite unique in that it is a town full of independent businesses run by local people so a lot were hit with a double whammy of flooded houses as well as shops. To make matters worse the town was flooded in 2012 and a lot of businesses were unable to get any insurance after that. They are literally starting again with no financial assistance. One of the shops hit was 2 Tone comics, a bricks and mortar indie comic shop much loved by the town and their customers. The owners of 2 Tone were having to face the prospect of losing their livelihood, a shop they love selling comics they are passionate about. The bat signal was shone and the comic world heeded their call, there have been donations of artwork and signed graphic novels pouring in to auction off and help give a bit of support and financial assistance to 2 Tone comics to help them back on their feet. So far artists such as Ryan Brown, Gary Erskine, Rufus Dayglo, Mike Collins and Geof Banyard have all donated as well as various publishers such as Avatar donating signed books by the likes of comic legend Alan Moore. All I ask is people check out the auction and bid on a piece they like, all proceeds go towards 2 Tone comics. What you see is not all there is and more will be uploaded as time goes on aand eBay permit so keep checking back for new auctions. More work is also being donated as I type. 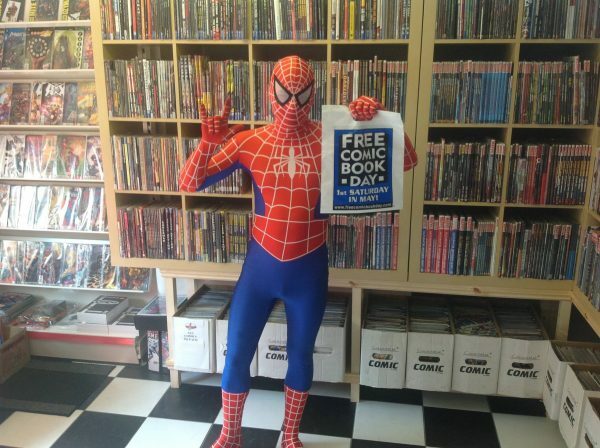 A huge thanks to the comic artists and publishers who have given their wonderful stuff for free and a massive thanks to anyone who digs deep and bids, this isn’t about getting something as cheaply as you can it’s about raising as much as we can and helping a local business back on its feet.